Mill+ demonstrates the powers of Nike's latest 'Shine Through' range. 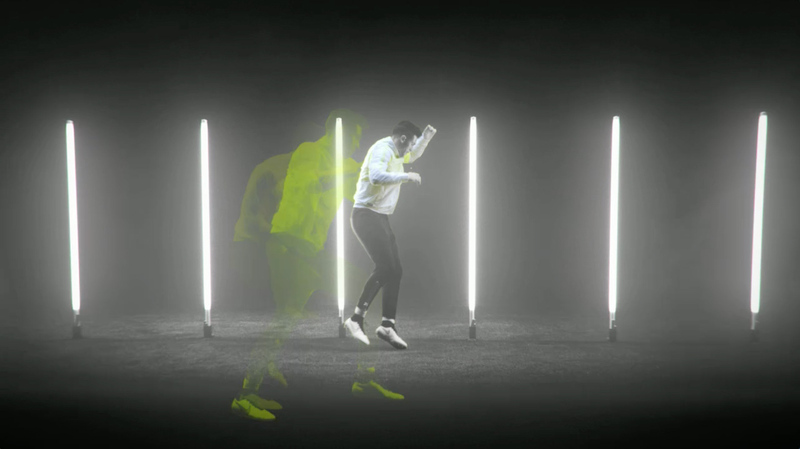 Mill+ collaborated with Shoot Europe on Nike's latest ad 'Shine Through,' which celebrates the launch of Nike's new Shine Through product line. The film, which is set to play in stores across the country, focuses on the luminous fabric, which enables sportsmen and women to move as freely as possible. The Mill+ team helped bring the film to life with a host of effects including Nuke compositing, colour grading, After Effects and a fully CG fly through. The 2D team brought each shot to life by adding a host of atmospheric effects such as fog and glowing light that interacted with the player as he moved, before the AFX team added in a neon jacket effect over the black and white graded footage to accentuate the jacket's features. Head of Motion Design Nils Kloth comments, "It was a fantastic opportunity working on this visually exciting project for Nike. We employed various techniques from shooting on set with a Drone, down to creating a fully CG fluorescent light tube environment, with dynamic fabric. Our senior art director Douglas Bowden designed the 3D environment, while all of the trails and 2D environments were created in Nuke and AFX. It's a standout piece that we are very proud to have been involved with."